Sunday’s Peruvian Election, leading to a June run off, reminds Suzanne Hollander, attorney, property rights commentator and broker, of her visit to Peru, with demand for 1 Million housing units & where Suzanne saw “invasiones,” “young cities,” lived in and built by squatters. Squatters do not have legal title to property. 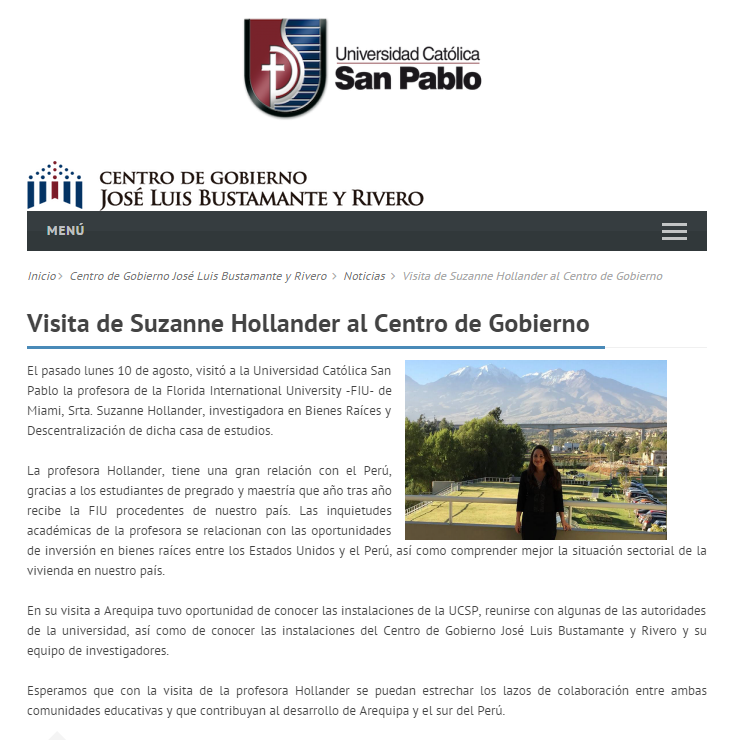 Read the article written re Suzanne’s visit, to the left. In Peru, Suzanne met with the Ministry of Housing, developers, property owners, multinational banks, institutional investors, U.S. Embassy, brokers and universities about the importance of legalized title and how private and foreign investment may help.The Peruvian Housing Ministry is working on “decentralization programs” to encourage developers to build housing that is affordable or rent-to-own, financed by banks, to help squatters qualify for housing with verifiable title. Verifiable title allows people to begin to build credit and participate in the global financial market. Doesn’t have certainty that they and their family will continue to be able to live in the property. Suzanne hopes the new Peruvian administration will provide people with help to prove ownership and have legalized title. Let’s stay tuned, the run off elections are this June. 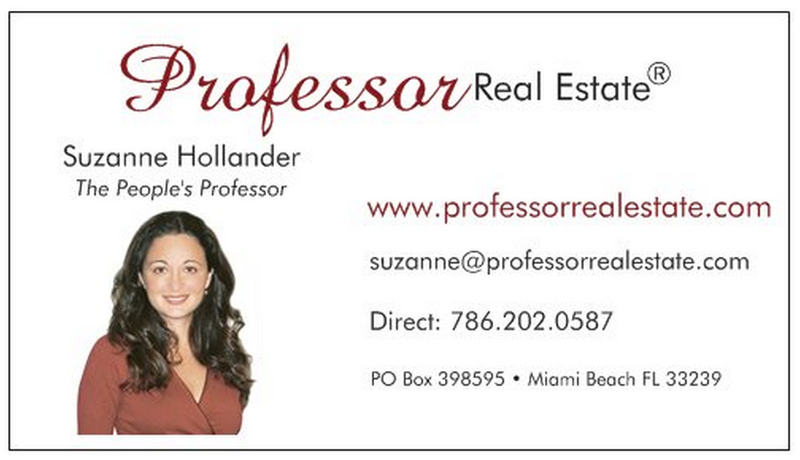 Watch Professor Real Estate®TV for a sneak peek real estate lessons!To buy or lease property in Florida or Maryland contact Suzanne Hollander. She is a licensed Real Estate Broker in Miami, Florida with Hollander Realty LLC and a licensed Real Estate Sales person in Maryland with EKB Realty.